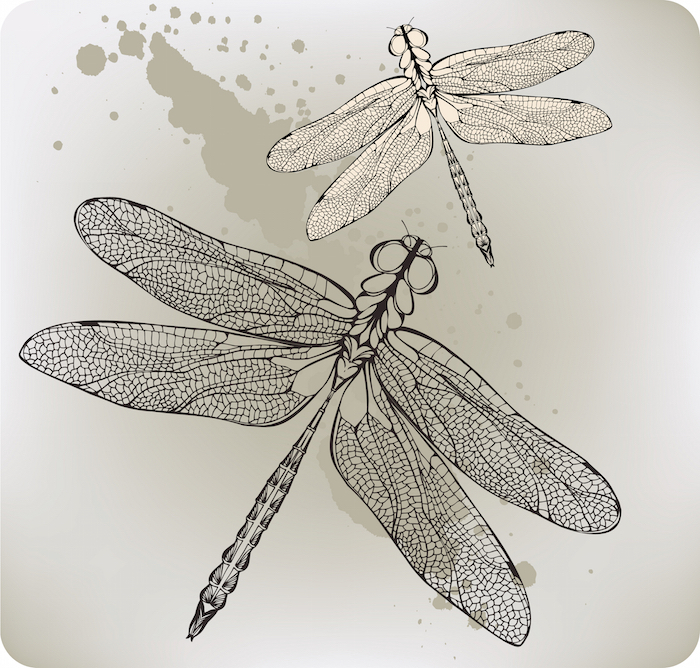 Dragonflies have long been associated with the mystical and often represent transformation as these tiny insects begin their lives in the water and then transform into winged creatures as adults. The water typically represents the subconscious, while the air represents freedom. Their iridescent colors may symbolize the many facets of spiritual growth and personality. 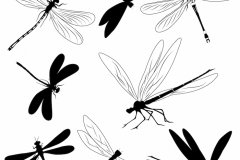 Dragonflies may be depicted in pure black, but are most commonly designed in blues, reds and other bright colors to create multicolored tattoos. 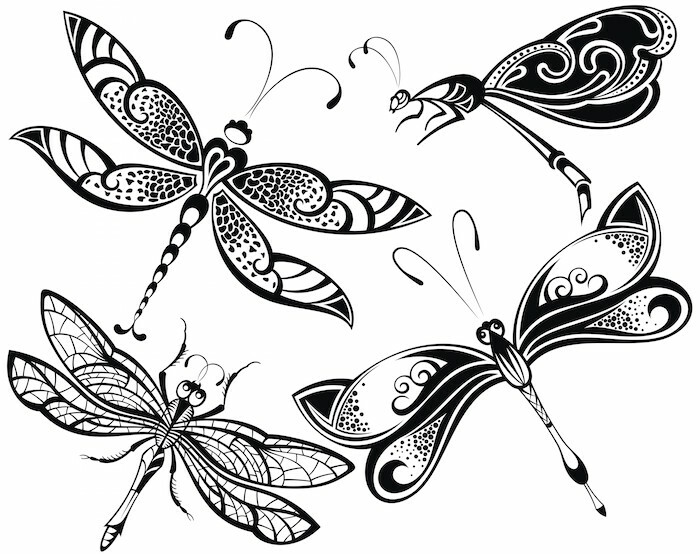 Dragonfly tattoos may be a simple outline of a dragonfly on wing, contain intricate details and scrolls of flowers or leaves or may resemble fairies as they flit across the skin. 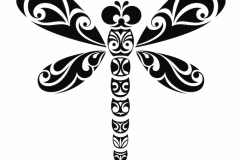 What Does the Dragonfly Tattoo Mean? 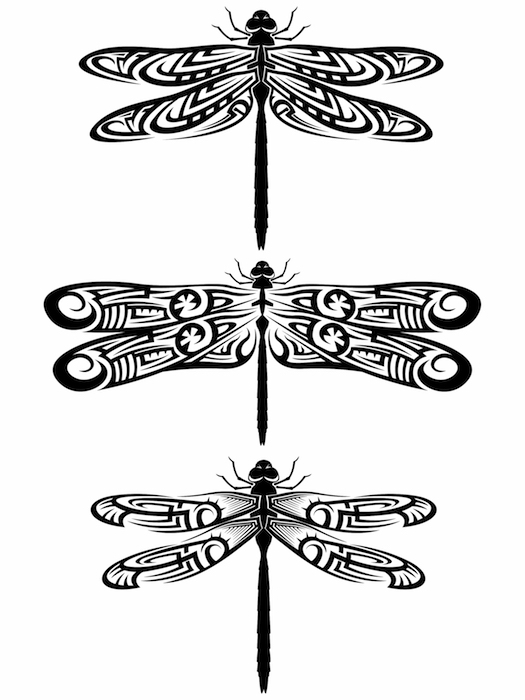 Nearly all versions of dragonfly tattoos carry the same meanings. 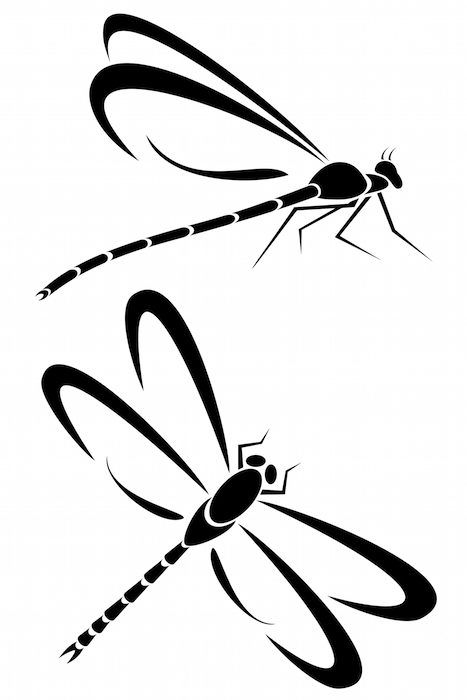 While the meaning of the dragonfly is similar across the cultures, there are some subtle differences. Native American – For Native Americans the dragon symbol represents happiness, speed and purity. 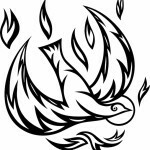 It also commonly represents the connection or communication between the physical and spiritual worlds. 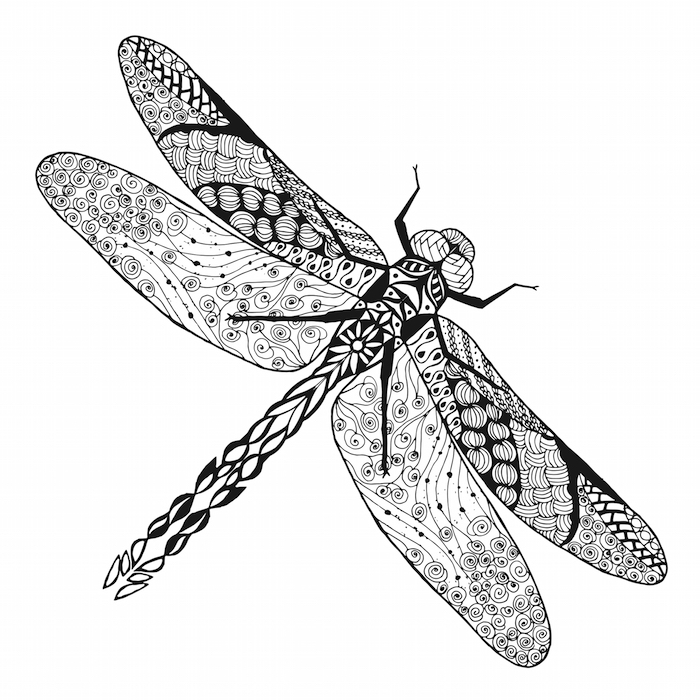 In its most basic form, the dragonfly is represented by a simple vertical line with a circular head and two horizontal lines crossing the body to represent the two sets of wings. Japanese – In the Japanese culture the dragonfly represents, power, speed and agility and symbolizes victory to the Samurai . 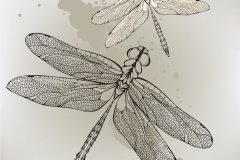 Chinese – To the Chinese the dragonfly symbolizes harmony, good luck and prosperity. 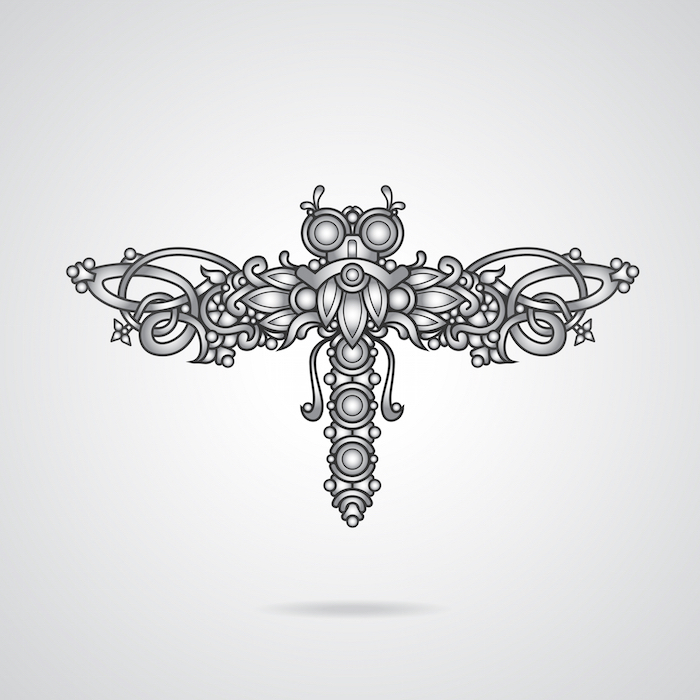 Celtic – The Celtic dragonfly tattoo is more angular and features intricate interlocking knots to form the shape of the dragonfly. Wings may be open or filled in with spirals or knots in varying colors. 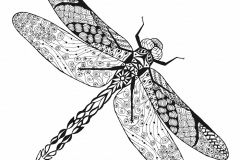 In Celtic cultures the dragonfly represents imagination, clear vision and insight. 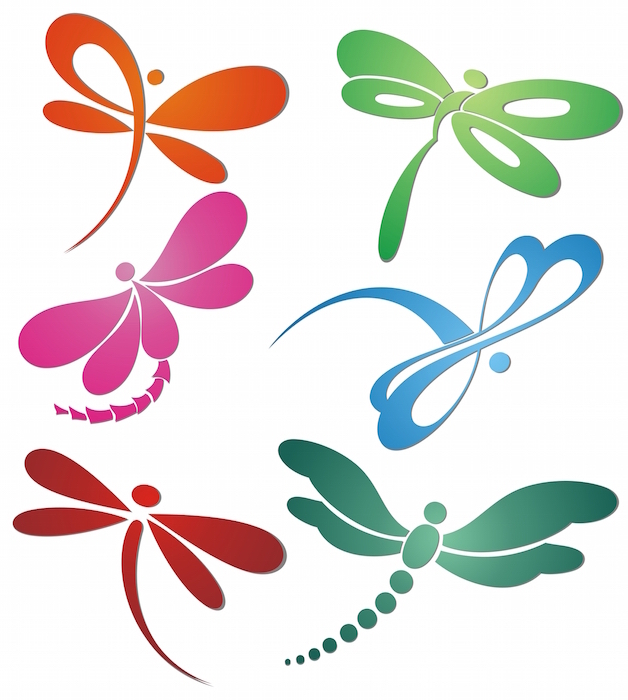 New Age Movement – The dragonfly is increasingly used to represent spiritual wakening and spiritual growth. 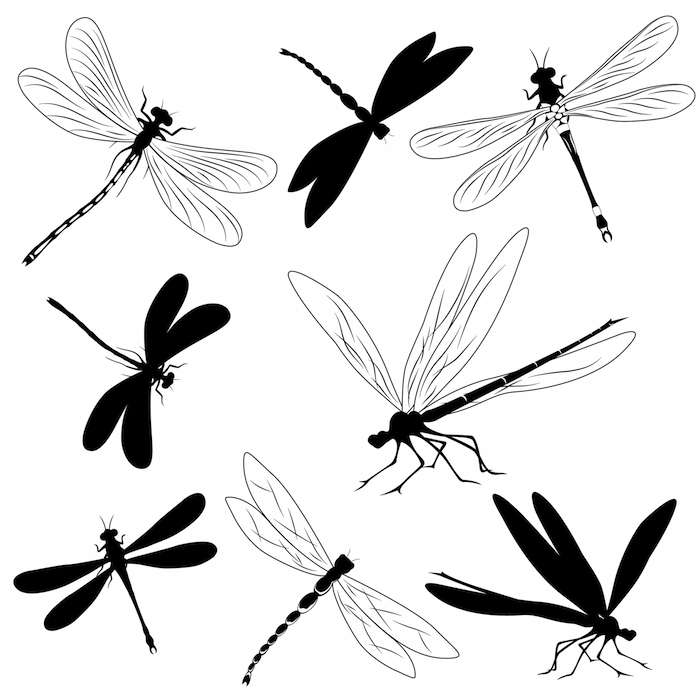 Some even believe that a dragonfly that lights on a person is a sign that a deceased loved one is visiting. 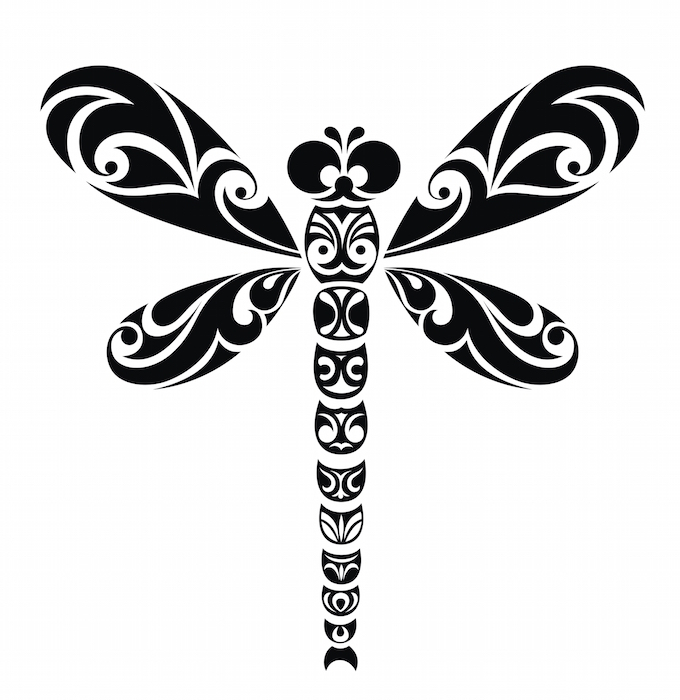 Dragonfly tattoos can be worn in nearly any location. They are common on the hand, shoulder, feet and ankles, and lower back, but can also be worn at the back of the neck or near the collar bone. 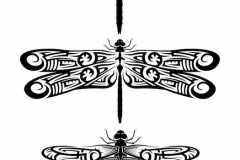 Large dragonfly tattoos may be worn across the back, on the thigh or along the side, while a tribal dragonfly tattoo is typically worn on the arm or chest. 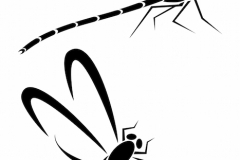 A small dragonfly tattoo can be tucked conveniently out of sight if you must cover tattoos at work or in other social situations. A sleeve dragon tattoo is sure to command attention. 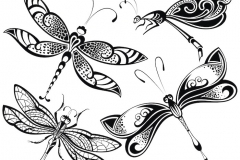 The message a dragonfly tattoo conveys is as personal as the wearer. Although they typically represent transformation, spiritual growth and mystical ideals, they are also attractive designs that can be worn for their ornamental value only. 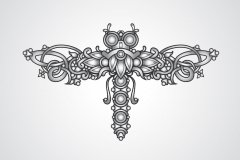 This designs are typically classy and may be more acceptable in social circles that frown upon more serious body art. 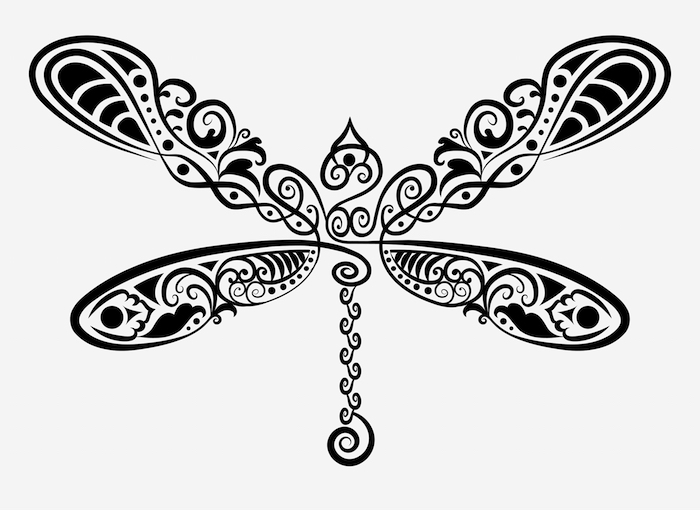 If you wear a Dragonfly Tattoo, you are likely to be a free spirit or one who thinks deeply about life and the world around you. You may be seeking enlightenment or expressing your deep connection to the universe. These tattoos are fun and attractive and socially acceptable in nearly any setting, but they are also deeply symbolic. 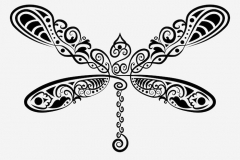 If you are seeking spiritual growth or embrace the concept of living in the moment, the dragonfly tattoo may be the perfect way to express it.